Denyse, I am so with you on the car angst. I was so stressed out the other morning I got hit my something from a building site. So now I have to insurance claims on my car. And two blocks of time I’ll be doing the panelbeater / car rental place shuffle. My other claim was for hail damage. On the up side, my car will be practically new again with all the attention to its paintwork! It is the nuisance part of it all with insurers isn’t it? My accident with the bollards was last August but because “I could not bear” driving another car to and from Sydney we put it off till Feb. So pleased we opted for hire car option even if our out of pocket we elected to pay was $800. I sure hope between us our cars behave well with any obstacle seen or unseen! I think you hit the nail on the head – the worst purchase part comes from the amount of money you waste (and the knowledge that you didn’t need to waste the money if you’d just done it yourself, or gone with your first instinct). As for ignoring the beeping. My new (not new now but still new in my head) car beeps when you are miles away, it’s ridiculous. I am mindful that I still need to check how far because I’ll ignore it once when I shouldn’t. The old car had a realistic beep, so only beeped when you were getting close. Yes. You have nailed it. Talk about a learning curve. I also acknowledge my headspace back then was stress-to-the-max with selling and moving. I was trying to be “sensible”. I get annoyed with the sensors still but as I also have cameras front and back I can confirm more easily. Good luck with yours telling you the RIGHT message. I giggled at some of this. I bought my current car nearly 11 years ago in the way I tend to do many things – on a whim. We’d gone up to the dealership to choose the colour for hubbys tool of trade vehicle & I took a test drive. Deal done. I still love it – even if every gender has been bruised from where pillars in car parks haven’t played nice with me. Carparks in some places are worse than others as if the planners would not know that the world of cars is more SUV than sedan!! 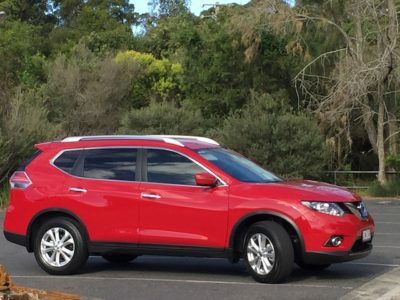 If only I had done the “right” thing by the Red XTrail I sat in at Nissan Castle Hill…no, being sensible…lol. Oh yes he is and forgiving many times over! Thanks Sue. I am attracted to the colour of the car but also need to sit in and imagine it for me. As I said to Jo, if only I HAD followed that up with the purchase when we also got my husband’s new car then we would be right. Lessons….always learning lessons in life! I’m glad to read the happy ending, Denyse. I live close to the city centre and can walk to where I need to be, or I use public transit. I’ve been car-free for many years. Whenever I need to rent a car, it’s always new. Thanks for hosting the link up. Have a great week! In our Australian cities and their outskirts it is virtually impossible due to lack of good infrastructure and we travel long distances even from the outer areas into the city. The people who can go car-less would be living very close to public transport to make it work. Great story Denyse. I love choosing the colour of my cars, and may latest Is orange! I’ve shared an old post about a shopping list my daughter found months after returning home to the UK from a trip to Aus. Sorry it’s not about my worst purchase but this one always makes me happy! I can’t wait to read. Orange is a colour I have grown to love in the past years. You can find your car more easily when it is a colourful one – having a white one for a week taught me that! Oh yes, I have not taken more time lamenting the cost & loss lately because it does not help me now. I have learned to love and be practical in decisions like these and it is going to serve me well when we may eventually buy. Ha. No excuse just because you can’t drive…lol. I love to drive and it was this that I did not take into account with that major purpose and change. I think too, we were both reeling from the huge life change of house sale and trying to make our life work in a strange house in a place we found very isolating. Learned a lot in these past few years THAT is for sure. Hmm, there are things that have been costly mistakes but *knocks on wood* have been ok in the end. I did have to get a personal loan to deal with an issue on my old car, which then died anyway. But then my new car was $10k cheaper than comparative models so overall it cost me less. It was more awkward than bad, maybe? I think the debts we have had on cars in our life together is staggering if we looked back on them. 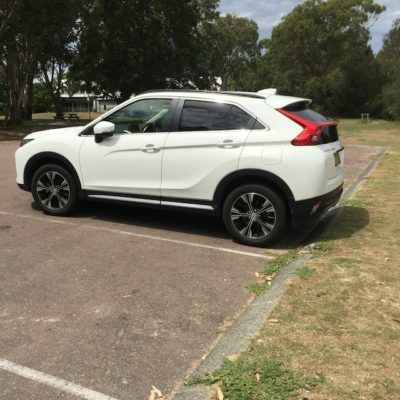 I married a man with a smallish car and I too had one, but when we were expecting our first child, we traded-in on one vehicle that my husband says now, “that bloke saw us coming”. Apart from a mortgage for most of us, a car would be the biggest expense. Not everyone can have a mortgage either as we both know but this “car mistake” was using our cash…better stop now! We need to update our car at some stage. We delayed changing our oil and basically ruined it. Now it spews out tons of white smoke when we start it. Will continue to drive it until it gives up, then trade it in. Oh gosh. 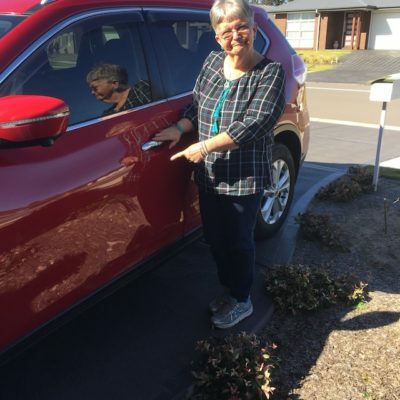 We ruined a year old car back in the 1970s by forgetting to put something back on after a service at home.”Cooked” the engine and we had to buy another car quick smart as we were going to teach in the remote regions of NSW. Hope yours survives till you can replace it. Hubby and I are looking at getting a second car soon. A good reminder to be careful! I am glad then that I provided this “community service announcement” called “don’t do what Denyse did”..